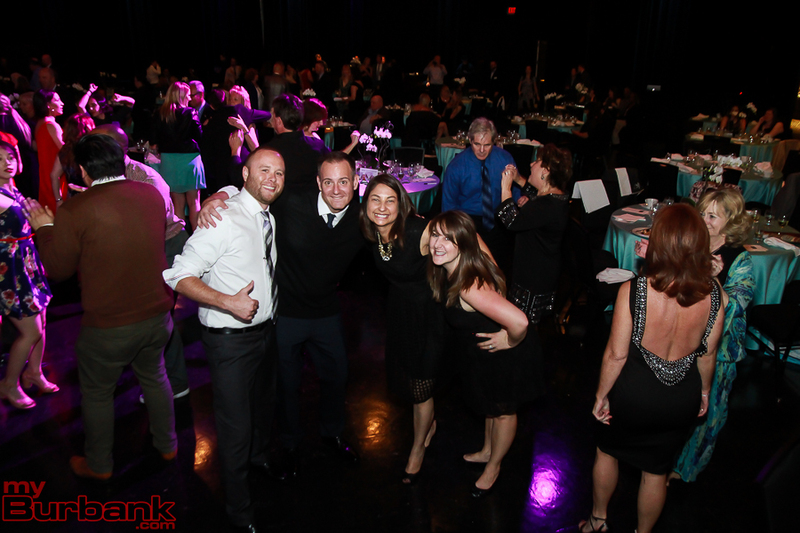 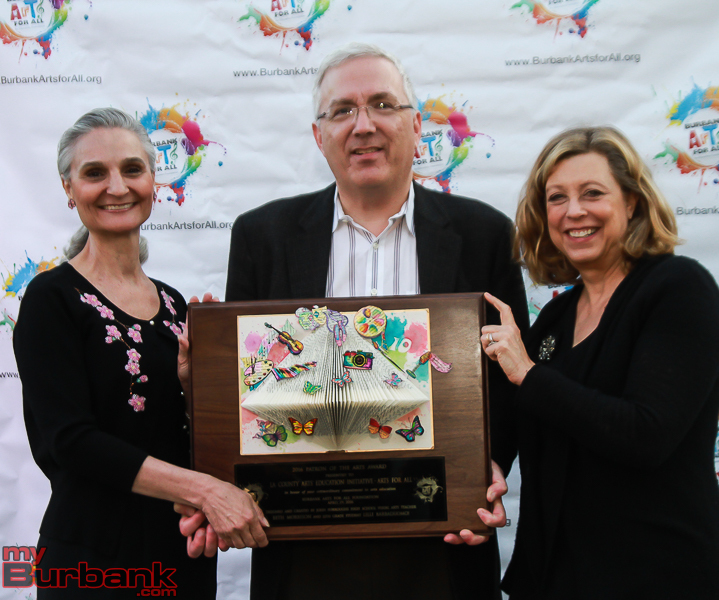 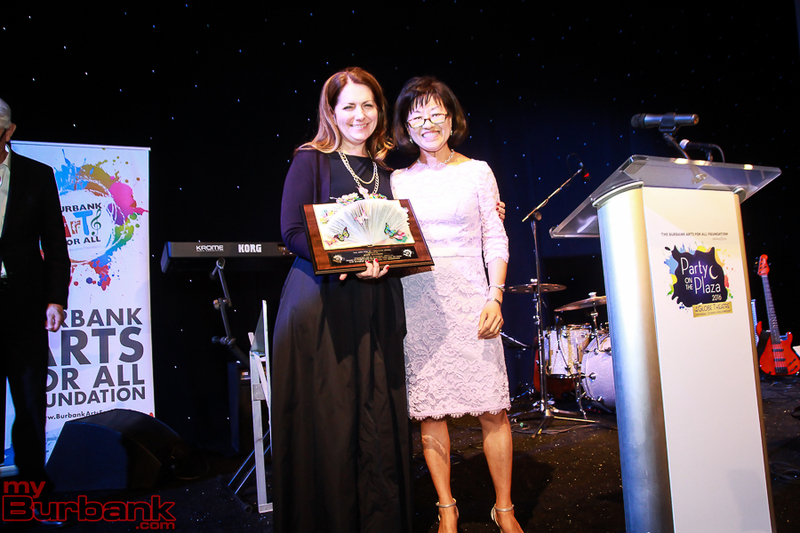 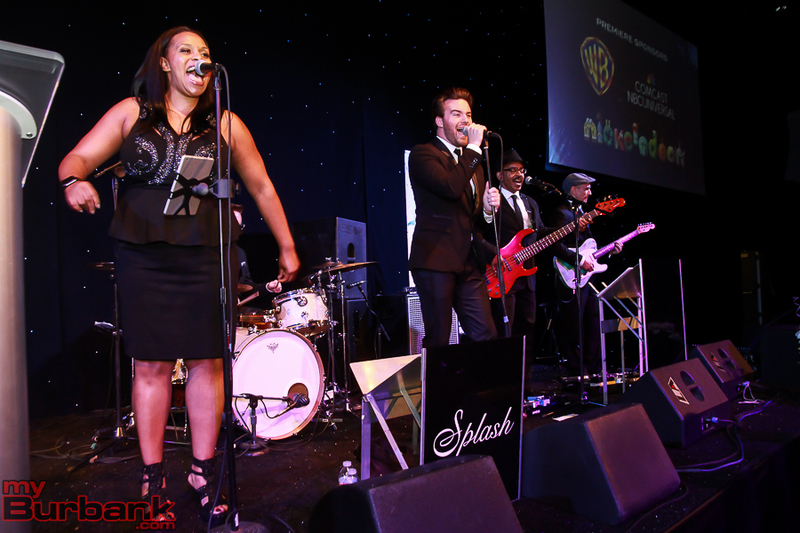 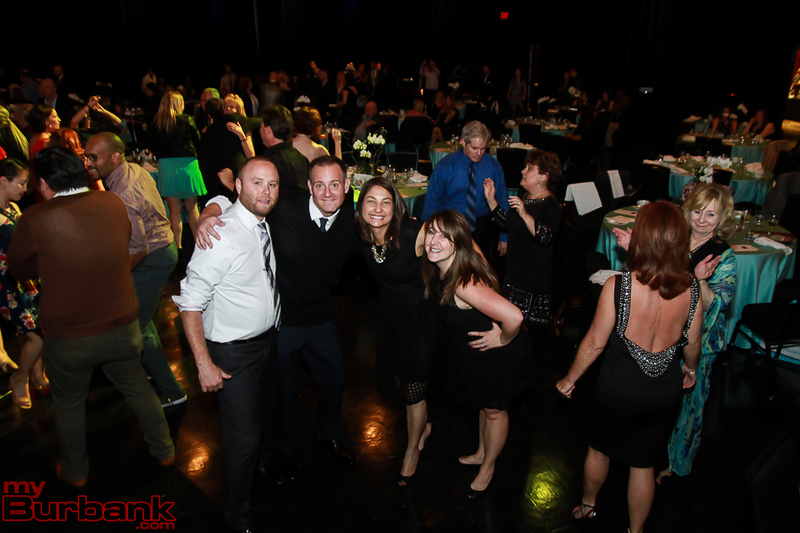 The Burbank Arts For All Foundation Gala, Party on the Plaza 2016, raised more than $100,000 for its mission to provide grants in support of Burbank Unified arts programs. 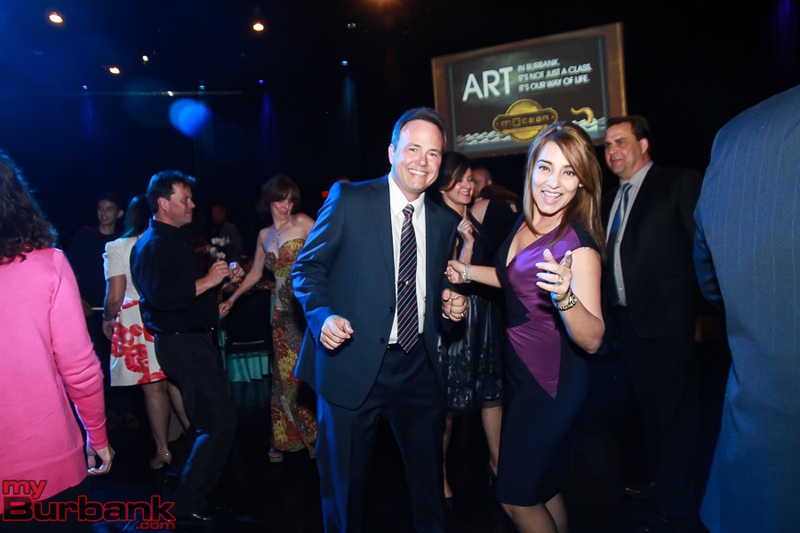 Held Friday, April 28, at the Universal Studios’ Globe Theatre, the fifth annual event drew nearly 400 attendees. 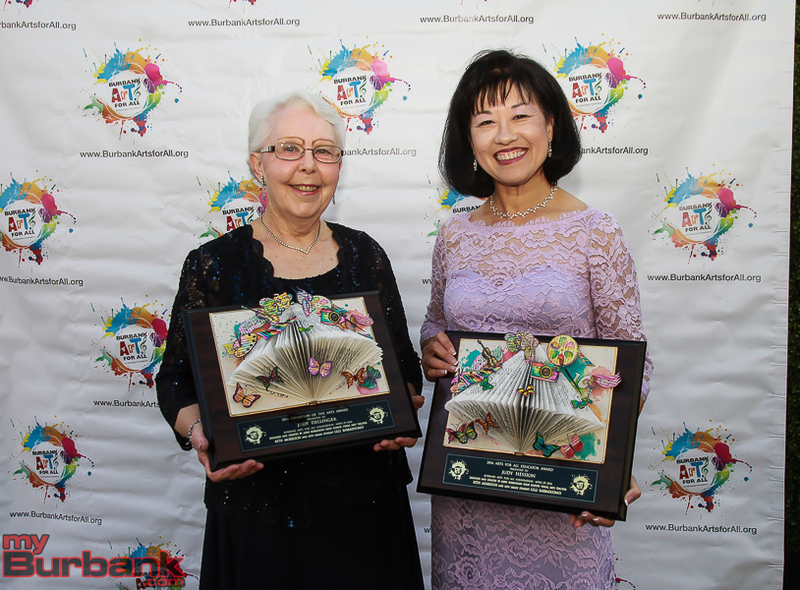 The event honored the Los Angeles County arts education initiative, Arts For All, with the Patron of the Arts Award, Joaquin Miller Elementary School Principal Judy Hession with the Arts for All Educator Award and volunteer Judy Dellinger with the Champion of the Arts Award. 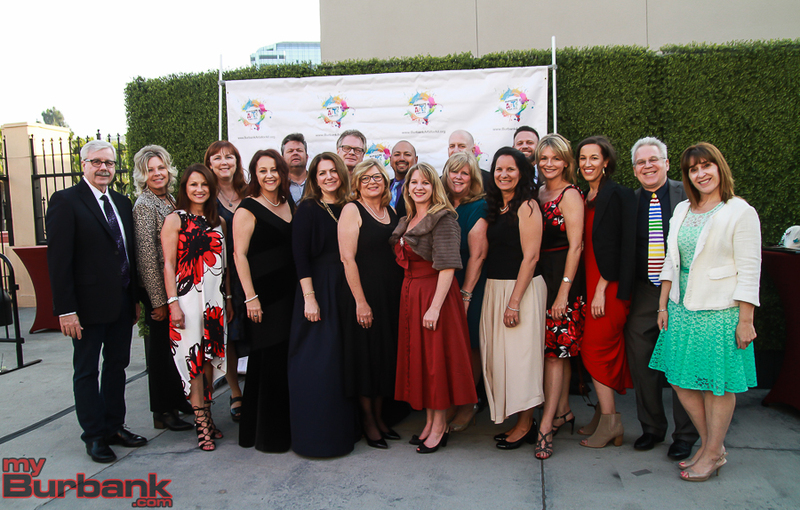 “The Foundation is proud to join efforts with our amazing community – the ecosystem – that keeps arts education a priority in our public schools, that supports the district’s inspiring Arts for All Plan and the more than 15,000 students that it serves,” said Carrie Brown, Chair of the Foundation’s Board of Directors, as she welcomed guests to the event. 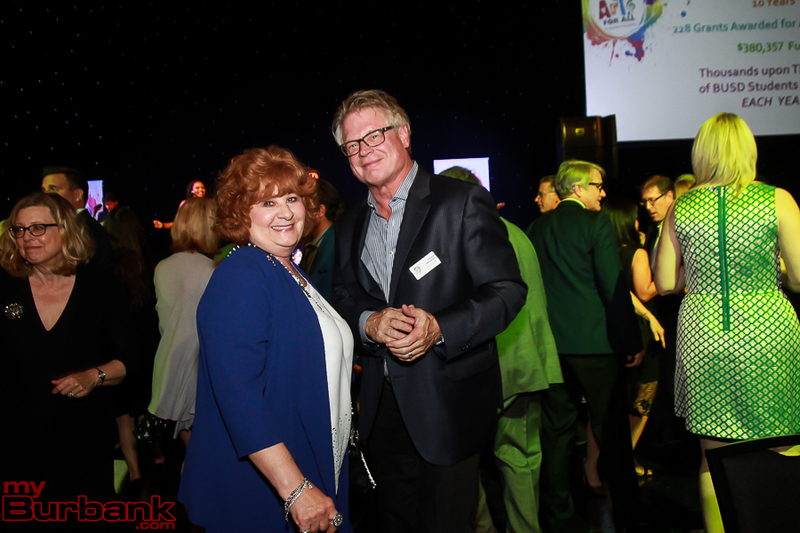 “We are committed to raising supplemental funding to fund arts education today and will continue to build an endowment that will support arts education forever,” Brown added. 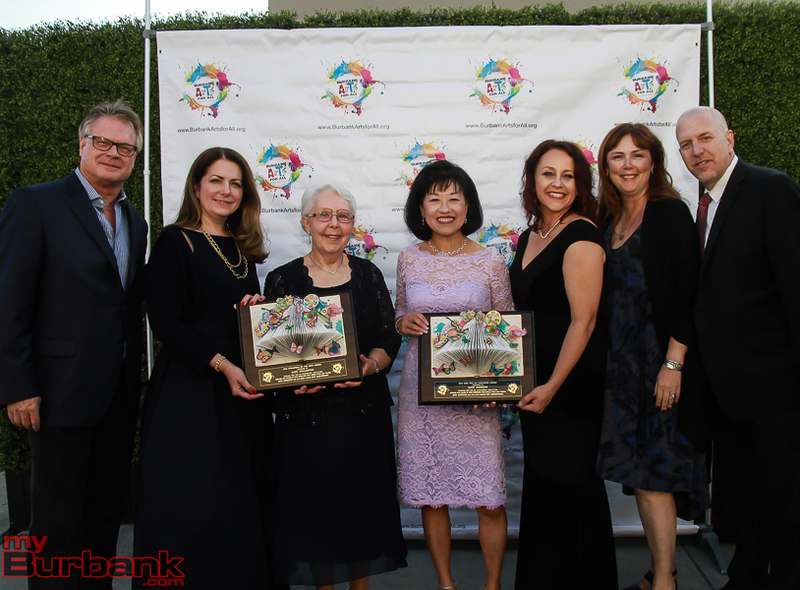 At the Gala, both Burbank Arts for All Foundation and Laura Zucker, Executive Director of the Los Angeles County Arts Commission, recognized the continued commitment of the Burbank Board of Education to sustain its Arts for All plan over the past 10 years and grow its commitment to arts education in coming years. 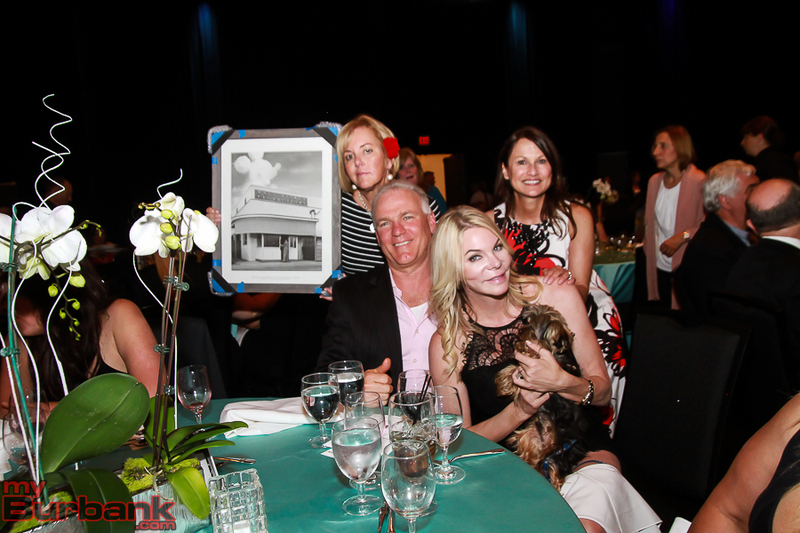 Michael Cusumano of Cusumano Real Estate Group announced a $5,000 donation from the Cusumano Family Foundation, which began a “raise your hand for the arts” appeal, generating an additional $16,000 in donations from guests. 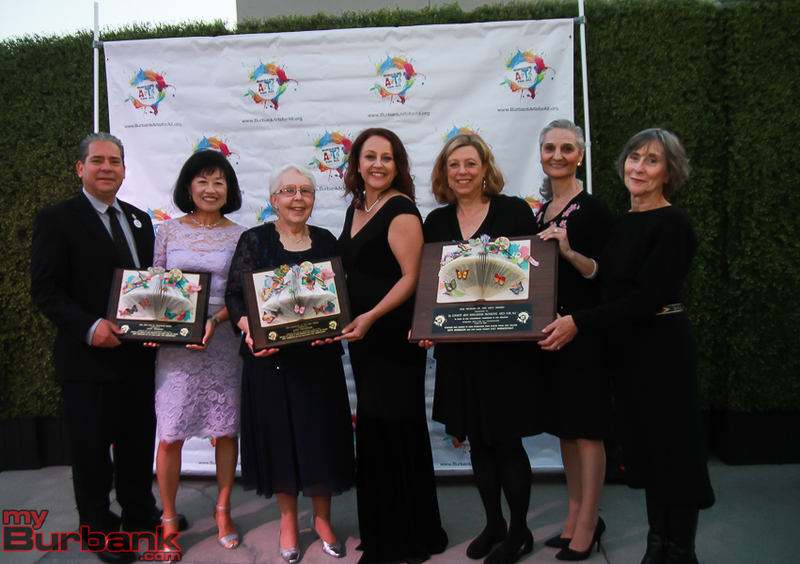 Attendees included the entire BUSD Board of Education, Burbank’s Mayor (at the time) Bob Frutos and Vice Mayor (at the time) Jess Talamantes and City Council members Emily Gabel-Luddy and Dr. David Gordon. 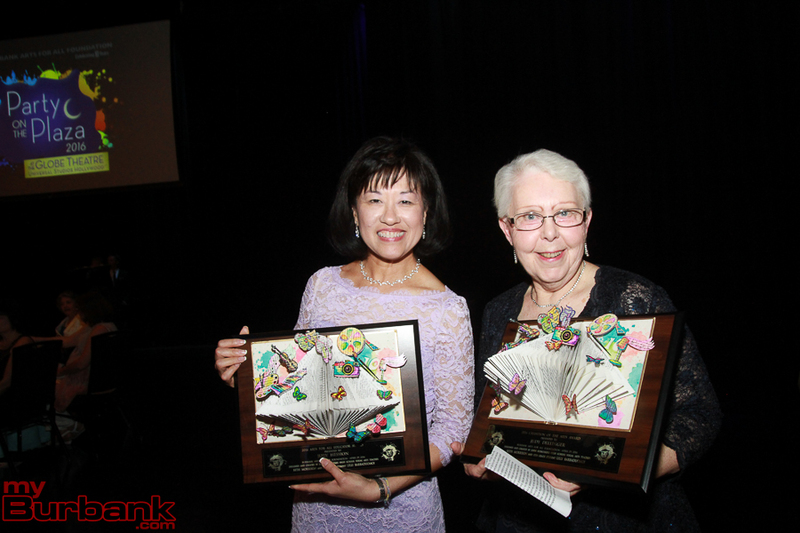 Representatives from Congressman Adam Schiff’s office and Board of Supervisor Michael Antonovich’s office were also in attendance. 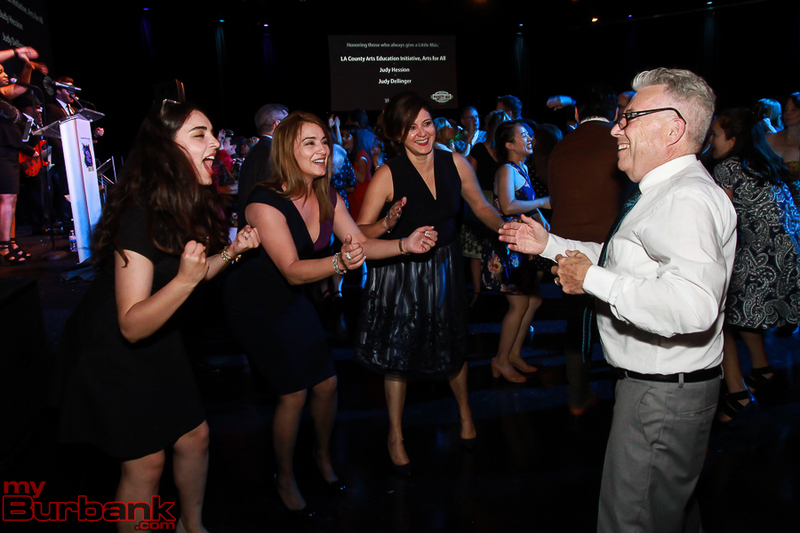 A number of candidates for political office in the region including Anthony Portantino, Laura Friedman and Ardy Kassakhian also visited the event. 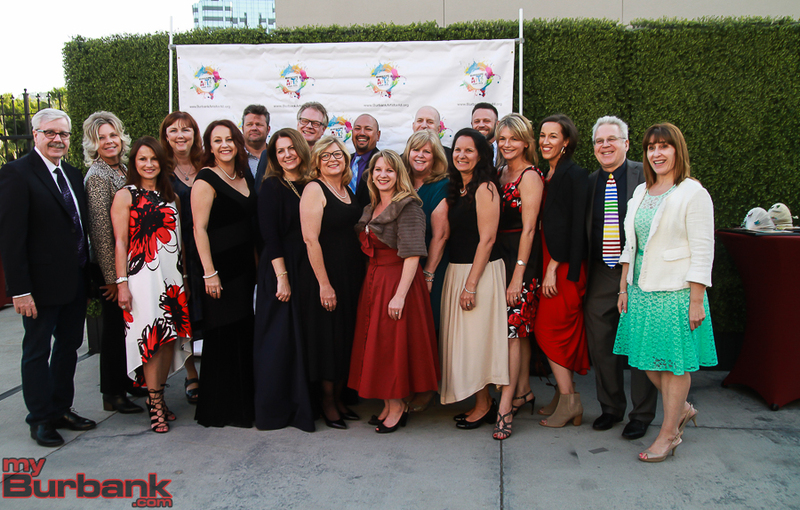 “We are so grateful for the generous support of our community, our Board of Directors, our volunteers and our extremely generous sponsors that include The Walt Disney Company, Warner Bros. Entertainment, NBCUniversal, Nickelodeon Animation Studios, among many others,” commented Foundation Executive Director Trena Pitchford. 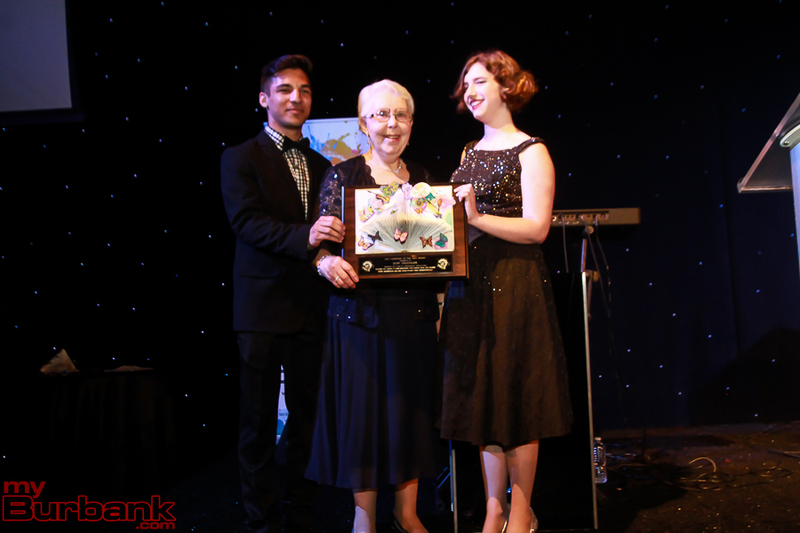 BHS Drama Presents "The Time Zone"
This entry was posted in Events, News, Schools on May 5, 2016 by Lisa Paredes.